A still shot from a stop motion animation film by Arowyn Bailey, my daughter... 'Play' used in an adult arena. There is nothing quite like watching your child figure out the solution to a challenging problem. How much more so if that solution is a creative one… Creativity is a gift and an asset. It is arguably as valuable as intelligence, to an individual and to the human race as a whole. Did you know that a creativity study by Kyung Hee Kim at the College of William & Mary shows that since the 1990’s, there has been a measurable decrease in creativity in children. Po Bronson and Ashley Merryman refer to this study and other findings in their 2010 article for Newsweek, The Creativity Crisis. They offer, “One likely culprit is the number of hours kids now spend in front of the TV and playing videogames rather than engaging in creative activities. Another is the lack of creativity development in our schools. In effect, it’s left to the luck of the draw who becomes creative: there’s no concerted effort to nurture the creativity of all children. “ (***This article was posted in 2010 at http://www.thedailybeast.com. Now, in 2017 things have gotten even worse.) Fortunately, there are things that can be done and easy solutions to fix this problem… answers limited only by our own creativity and ingenuity. This suggests, ‘creativity’ is something that is not just beneficial to artists, musicians, poets and others traditionally described as ‘creative’. Creativity is important to everyone. It is simply the use of the imagination to produce original ideas. Those ideas can be used to create the next great artistic masterpiece... or help find the cure for cancer. Creativity is not judgmental in its application and has undeniable worth to every individual, regardless of profession. How do we, as parents and creative mentors, nurture creativity in our children? One of the best ways for children to learn to think creatively is by learning to play creatively. Creative play engages a child’s imagination and provides a safe, noncritical environment for exploration. This should make us examine which toys we should present to our children. All toys are not created equally. Tina Barseghian,in her article What Makes a Great Toy for Creative Play? states, ‘Toys for creative play are not “all-in-one” experiences, but rather components of a larger ecosystem – catalysts for an open-ended world’. We have found that a healthy mixture of toys and environment make the best atmosphere for creative play. Sticks and stones, scraps of material, a few favorite creatures and our kids are set to go. Another great creativity builder, besides play, is actually creating things. Children learn much about communication, spatial reasoning, and imaginative thought through sketching. They learn about texture, composition and balance by molding homemade play-doh. Composing a new song teaches them to entertain themselves while practicing rhythm and rhyme. Children also benefit from creative games. Creativity involves thinking of original solutions to common questions. ‘What color is the sky?’  Blue is the natural answer but we can push our children beyond the first response into thought. The sky is sometimes pink at dusk with lavender clouds, or grey with snow... and what about black as night, or orange, or white? Thinking games are great when you don’t have time for messy arts and crafts, or you are confined to the car, or you must ‘play’ over the phone. *The Professional Bohemians is passionate about creativity. We are parents that teach our children at home and have faithfully been learning through combined experience and research since before we started our business, a dozen years ago. We have done many community workshops centered on creativity hoping to empower others with the gift of ingenuity. We create designs that encourage others to create and have, at times, worked months to simplify a design to the point that it is naive and innocent and ready for play. Children love interacting with their toys. They respond better to the toys that are less detailed and leave more to the imagination, ex. Legos, Playmobiles, and, of course, their ProBoh friends. Think about what toys engage your child’s imagination. We hope that we have given you some food for thought. The Professional Bohemians offer one of a kind creative rag dolls, monsters and creatures for sale as well as a couple wooden toys, patterns, and accessories. Please click on our ‘mailing list’ to learn more about us, art and children and creativity in general. We would love to meet you (and love, equally, hearing from old friends)! Thank you so much for your time and we wish you a happy and creative morning, afternoon or evening! 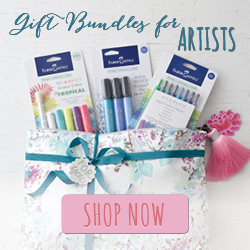 Click below to peruse these fine selections of affordable art supplies, right from my site! Every purchase from my site helps to keep my creative offerings flowing! 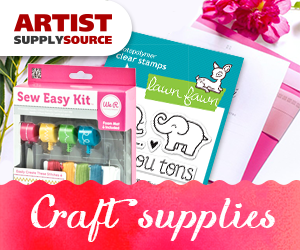 ^^^click this link for more affordable art supply options!